It has been really really hot here for the past few days so in an attempt to remember the cooler days of spring, I thought I would post this board! I especially love the ceremony site. 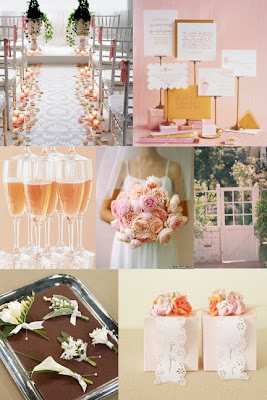 The way the sherbet colored flowers and greenery pop against the clean white palette is just beautiful! Hope you enjoy!